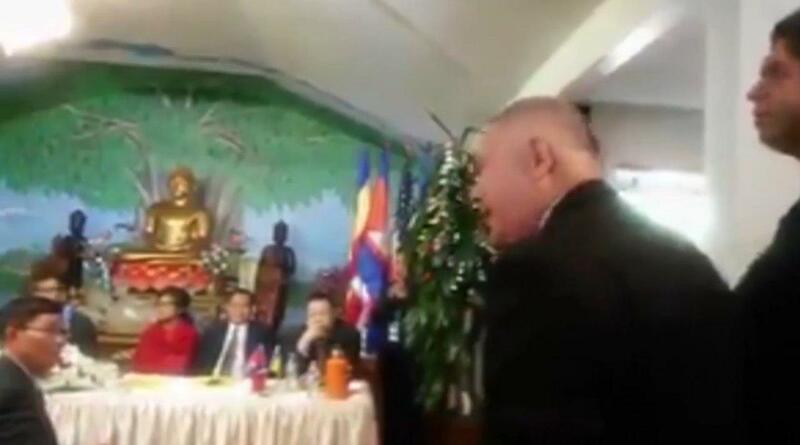 Phnom Penh (FN), Feb. 8 – An elderly Cambodian-American man was thrown out of a meeting for asking tough questions to former president of Cambodian National Rescue Party (CNRP) Sam Rainsy. The meeting held in San Jose, California, USA on 3 February 2019 aimed to fundraise and update to supporters the situation of the Cambodian National Rescue Party (CNRP), which the court dissolved in late 2017 for plotting the plans to topple the legitimate government. Former lawmaker of CNRP Eng Chhai Eang claimed that the man, known as Chum Socheat, was thrown out for asking dead-end questions to Sam Rainsy. 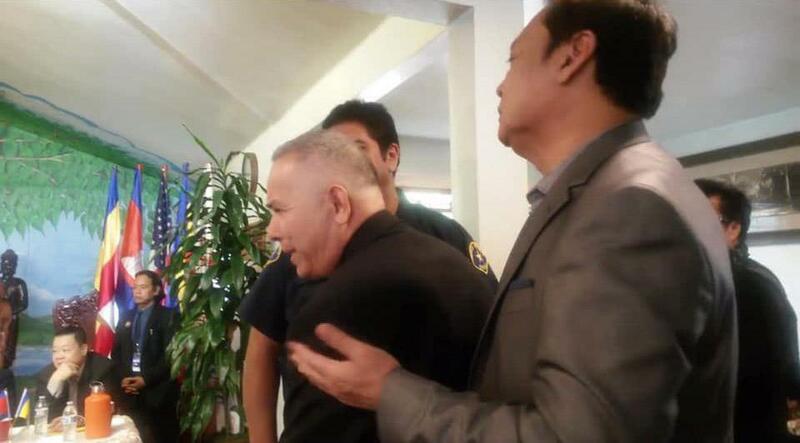 The man asked useless questions, said Chhai Eang. However, other supporters joining the meeting claimed that Socheat asked about political situations in Cambodia and the situation of the CNRP; his questions badly insulted, or “burned” Sam Rainsy. 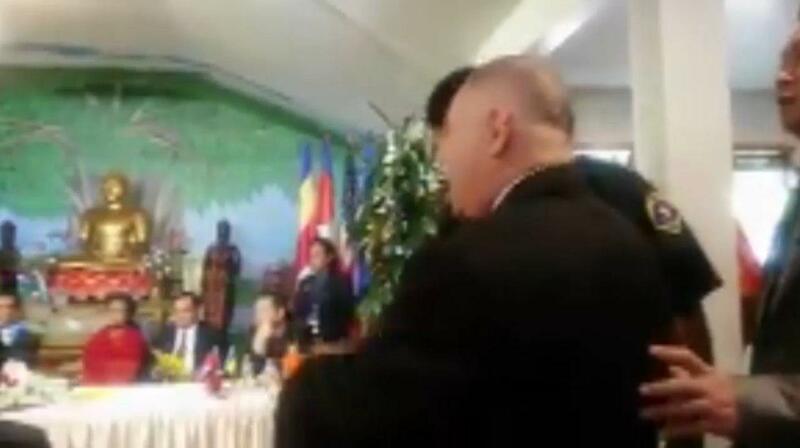 In the video, after Socheat’s question, the meeting applauded and praised, “That’s a good question”. Analysts said former CNRP president Sam Rainsy, and his supporters, always claimed to advocate for democracy, respect for rights, and freedom of expression, but their actions contradict their words. What Rainsy told his supporters so far were just the propaganda, analyst said, “actions speak louder than words”.